The Idalee Leader of the Year award is presented annually to an LT graduate who not only is worthy of that title, but who also exemplifies the ability to balance roles between family and community, and whose leadership results in a better Texarkana for all who live in our community. The award is named after and inspired by LT alum Idalee Hawkins, who set a lasting example for her willingness to give of herself for her family and community. Just as this award is specifically for LT honorees, only LT graduates are eligible to make nominations for the Idalee Hawkins award. 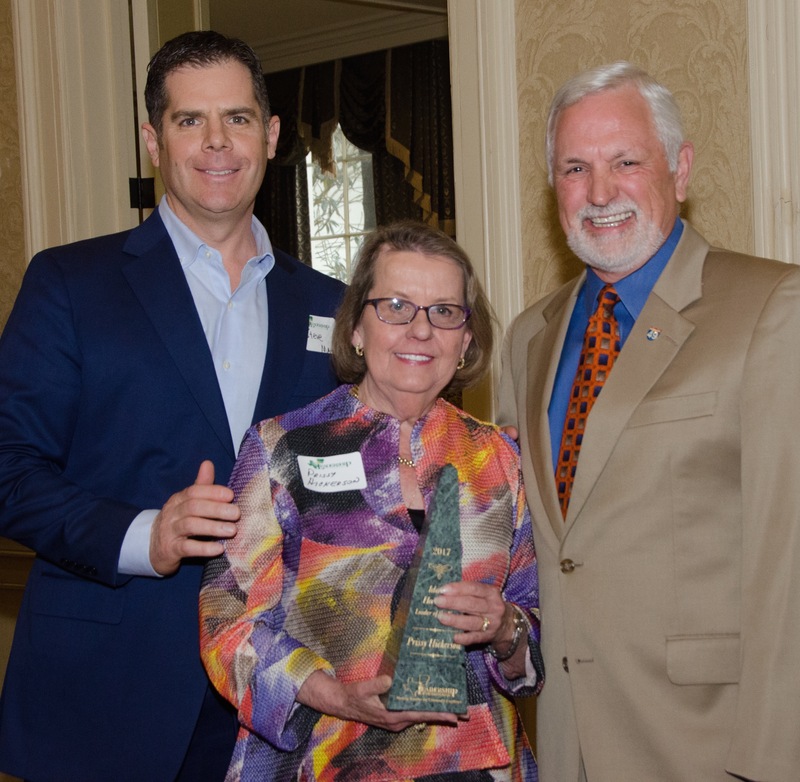 The Leadership Texarkana Alumni Association initiated the annual Idalee Raffaelli Hawkins Award for Community Leadership in 1995 to honor an outstanding LT graduate each year. 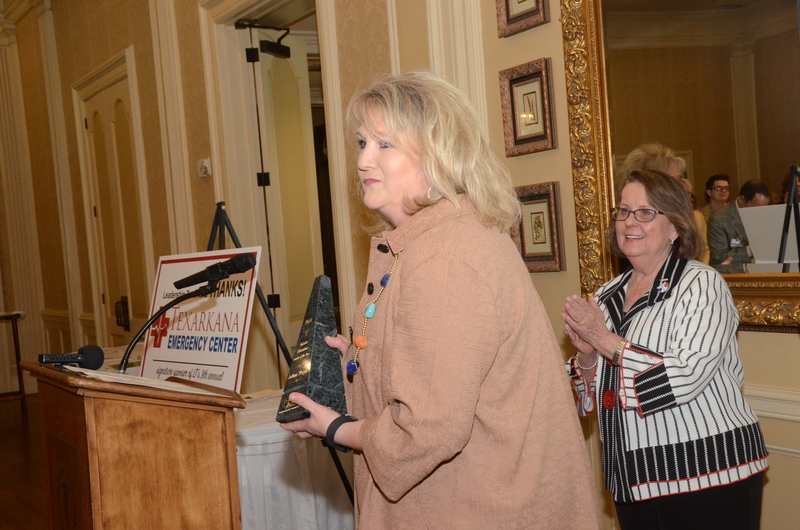 The first Idalee Hawkins award was presented during an alumni luncheon at Special Events on the Boulevard. For many years, the award was presented as part of the LT Class graduation dinner. In 2015, the award was officially renamed the Idalee Hawkins LEADER OF THE YEAR award, in order to better connote the significance to the community of the LT graduate being honored in any particular year. Idalee Raffaelli Hawkins was raised in Texarkana, Texas and was a 1981 graduate of Leadership Texarkana. Idalee earned her undergraduate degree from the University of Texas and attended law school at the University of Arkansas. She was an attorney in her father’s law firm, Raffaelli and Hawkins, as well as serving for a time as a Federal Magistrate. She was married to fellow attorney John “Buddy” Hawkins with whom she had two daughters. Making time for her family and her community, Idalee pursued her law career part-time while working as a generous volunteer leader in the community: She served as a President of the Junior League of Texarkana, as well as an Area V Director of their national organization. She was largely responsible for the Neighborhood Watch program for the city, which she was most proud of. Idalee also served on the Pleasant Grove School Board of Trustees. Her youngest child, Ginny, was in elementary school when Idalee decided to begin work on developing a full time practice devoted to Family Law. The tragic automobile accident which took her life occurred as she was returning from a Family Law Conference in Houston. • 2016 - Steve Mayo: Steve Mayo has given much of his time to public service, most recently in the crucial role of Texarkana’s Regional Water Liaison for the City of Texarkana, TX. Steve’s service in this capacity builds on his experience of service as Mayor of the City of Texarkana, Texas from 2008-2012, which followed his terms on the City’s Planning and Zoning Commission from 2004-2006, and as a member of the City Council of Texarkana, Texas from 2006-2008. 2014 - Curt Green: Curt Green is the owner of Curt Green & Company, LLC, a Commercial Real Estate Company. He has developed/constructed over 200 properties in fourteen (14) states. He is Past Arkansas/Oklahoma Chairman for the International Council of Shopping Centers, serving about 600 members representing retail tenants, developers and construction companies. He was chairman of the I-49 International Coalition representing Arkansas, Louisiana and Missouri. From 2003-2005 Mr. Green was Arkansas State Chairman for the National Federation of Independent Business and is a member of NFIB Leadership Trust. His civic organizations include serving of the Board of Texarkana Historical Society and Museum, Kiwanis Club, Four States Fair Association, Texarkana Board of Adjustment, the Business Organization for a New Downtown, and the Wadley Foundation. Mr. Green served as Chairman of the Texarkana Chamber of Commerce, president for Volunteer Services Bureau and the Texarkana Work Center. He is currently serving on the Texas A&M Texarkana Foundation Board. He is a 1980-1981 graduate of Leadership Texarkana and is currently an Alumni Member and LIFT committee member. He is a life-long resident of Texarkana Arkansas. He is married to Diane Bell. They have two children, Whitney and Clay, and two granddaughters. 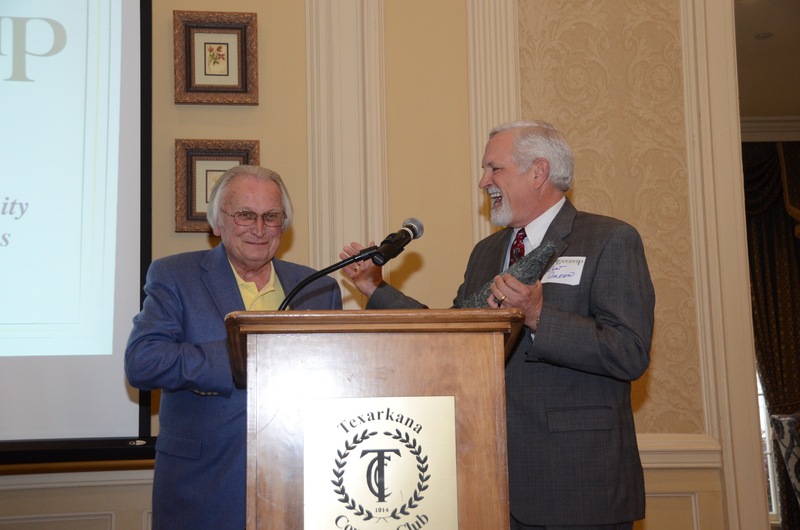 2013 - Jerry Black: The 2013 Idalee Hawkins honoree was Jerry Black. Jerry retired in May 2012 after serving in the field of education for 41 years. He worked six years in the Texarkana Arkansas School District, ten years in Texarkana Independent School District and twenty-five years in his beloved Liberty-Eylau Independent School District where he was a driving force in the implementation of the foundation and alumni programs. Jerry remains an active member in Hardy Memorial United Methodist Church serving as the church treasurer and Lay Leader. He started the Faith Seeks class of young couples several years ago with six members, and that program has now grown to fifty members and he also ministers to the shut-ins and those who are ill within the congregation. Jerry remains an active member of the Texarkana Oaklawn Rotary Club having served as vice-president, president, past-president and member. He has also served as the secretary, treasurer, and chair of Leadership Texarkana. Jerry has received several awards among them the Texas A&M-Texarkana Distinguished Alumni Award, Leopard for Life Award and H.E. Markham Community Service Award. 2012 - Kelly Mitchell: President of TEXAR FCU, Kelly is a lifelong resident of Texarkana and an alumnus of Texas A&M–Texarkana. Kelly has served on the board of directors for many organizations in Texarkana and currently serves on the Riverbend Water Resources board of directors and represents Harvest Texarkana Regional Food Bank on the Arkansas Hunger Relief Alliance board of directors. Mr. Mitchell was nominated, in part, due to his work with Williams Memorial Methodist Church food pantry, and with the Wilbur Smith Rotary Club, where he is currently leading the effort to build a public splash pad in Texarkana. He is married to Lisa Mitchell and has a stepson, Cody, and two daughters, Jill and Sarah. 2011 - Denis Washington: A 1988 graduate of Leadership Texarkana and a resident of Texarkana since 1986. Since 2004 Denis has been Senior Vice President – Community Banking Relationship Manager with Regions Bank. Denis earned a BBA from Mississippi Valley State University – where he started on a baseball scholarship, which he later gave up to accept an internship with the FDIC. He was a bank regulator and a bank examiner prior to accepting the job in commercial lending with Texarkana National Bank. He has generously provided leadership for a wide range of community organizations in Texarkana USA. Humanitarian organizations including Domestic Violence of Texarkana, Hospice of Texarkana, the United Way of Greater Texarkana, Senior Citizens Services of Texarkana, Easter Seals of Texarkana Inc.; Civic groups - Twin Cities Kiwanis; Economic development entities, including the Ark-Tex Regional Development Corporation, Northeast Texas Economic Development District; Governmental bodies including the Planning and Zoning Commission for the City of Texarkana Texas, the City of Texarkana Texas Housing Finance Corporation, the City of Texarkana Texas Zoning Board of Adjustments, the Bowie Central Appraisal District – Appraisal Review Board as well as board chair for both The Red River Redevelopment Authority (now TexAmericas Center), and the Housing Authority of the City of Texarkana Texas. A fisherman and a golfer, Denis and his wife Mary have three sons: Roderick, Brandon and Jared and two grandchildren: Myles and Amaya. 2001 - Fred R. Norton, Jr.